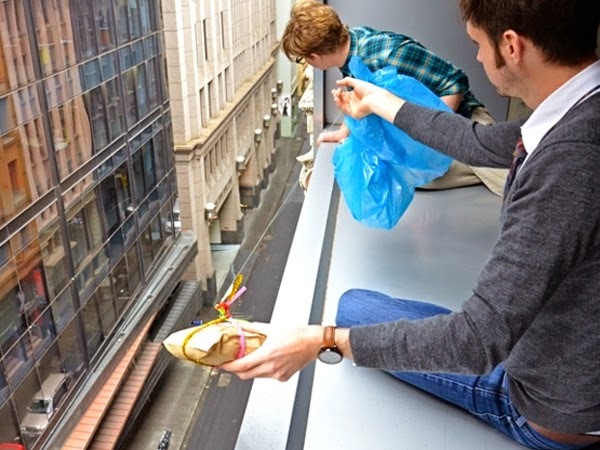 Melbourne-based food pop up Jafflechutes delivers its grilled cheese sandwiches to customers by attaching them to parachutes and dropping them out of the window of its fifth floor location. To receive a sandwich, customers pre-order and pay via PayPal, then wait below the building at their allocated time to catch their order. The company currently offer two types of sandwich - classic cheese and ham and cheese - and is running a crowdfunding campaign to launch its brand in North America. Homebuildlife subscribers can read about the growing influence of kids' food and fun in our trend report, Childhood Treats: Food's New Nostalgia. 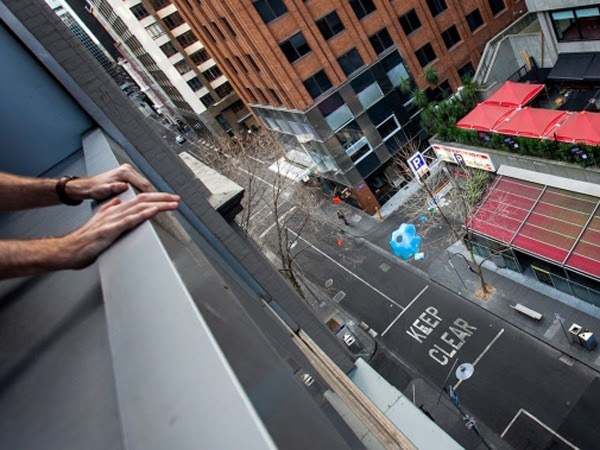 For the love of Jafflechutes from Klaus Fritz on Vimeo.